This story is the first in an ongoing series that examines, celebrates and shares the college’s continuous commitment to inclusion and diversity. 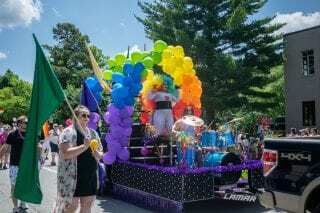 This month, the University of Arkansas kicked off its September-long Celebration of Inclusion and Diversity with a variety of concerts, lectures and events for the campus and community. 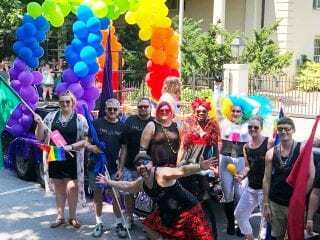 But while September may be a focal point for celebrating, more initiatives, projects and events are planned year-round – especially at the J. William Fulbright College of Arts and Sciences. Murphy-Erby said the university defines diversity as, “all the ways in which people differ, including primary characteristics, such as age, race, gender, ethnicity, mental and physical abilities, and sexual orientation; and secondary characteristics such as education, income, religion and spiritual traditions, work experience, language sills, geographic location and family status. “Put simply, diversity refers to all the characteristics that make individuals different from each other,” she said. Likewise, in emulating college namesake J. William Fulbright’s vision for “peace through education,” Fulbright College strives to make inclusion and diversity a part of the very fabric of its courses, programs, area studies, departments and culture. Smith said the college’s Latin American and Latino Studies program is currently supporting the university’s celebration of Hispanic Heritage Month now through Oct. 15, while the Indigenous Studies program will be joining the Native American Student Association, Native American Symposium Committee, Mont Alto Orchestra, and University Libraries the week of Oct. 8-12 to celebrate Indigenous People’s Week. Asian Studies, Jewish Studies, Religious Studies, the King Fahd Center for Middle East Studies (MEST) and the Department of World Languages, Literatures and Cultures (WLLC) all hosted numerous cultural lectures and symposiums last semester, with more planned in the months ahead. In the spring, the Department of Psychological Science hosted its inaugural “Diversity Science: Emerging Perspectives in Psychology” conference to highlight the importance of diversity for the field, provide exemplars of the integration of diversity considerations into scholarship, and articulate a vision for the future of diversity science in psychology. In February, African and African American Studies partnered with the Department of Music, Fulbright College, University Libraries and the Arkansas Philharmonic Orchestra to celebrate Black History Month with three events to commemorate the life and legacy of Florence B. Price, a native Arkansan and barrier-breaking composer. Smith said other upcoming initiatives include collaborations between Gender Studies and community partners, and a return of her office’s Fearless Conversations series, which will next tackle the topic of sexual harassment and the #MeToo movement on Nov. 7. Previous Fearless Conversations have also taken place on immigration and migration, as well as memorials, monuments and symbolic protests. More are planned for the future. 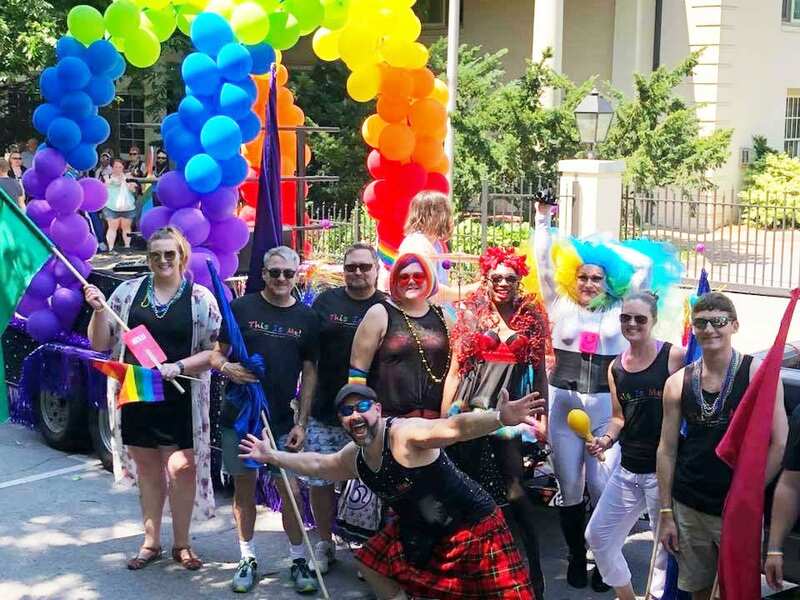 The staff of the college’s Jim and Joyce Faulkner Performing Arts Center also wanted to embody inclusivity by showing their support for the LGBTQA+ community by marching for the second year in a row in the Northwest Arkansas Pride Parade and Festival in June. With these goals in mind, Cotton-Leachman said the Faulkner Center recently launched its Global Features performance series for the 2018-19 season, which includes collaborations with MEST and WLLC. The center will also host exhibits featuring artists and artistic styles from around the globe, including Latin art, African and African American art and Middle Eastern art. Cotton-Leachman said the Faulkner Center team is currently undergoing training to have the center be designated as a safe zone ally. The center is also providing sponsorship for the Office for Diversity and Inclusion’s upcoming Hispanic Women’s Organization of Arkansas (HOWA) Conference and the Cinco De Mayo celebration in May 2019. Cotton-Leachman also credits Fulbright College dean Todd Shields with encouraging and supporting the Faulkner Center’s initiatives. For Shields, the support comes naturally as he considers it a by-product of the college’s ongoing commitment to inclusion and diversity. If you or your department have a story idea that examines or celebrates the college’s continuous commitment to inclusion and diversity, please submit it by emailing fulbcomm@uark.edu.